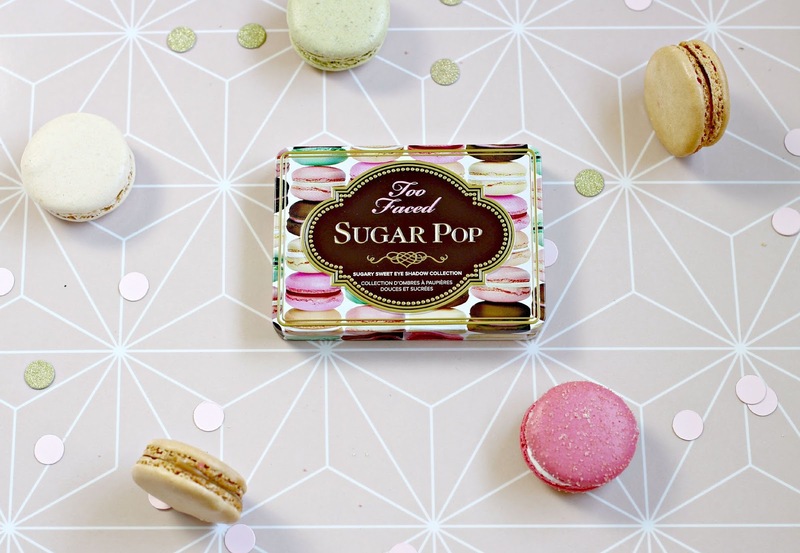 Let’s be honest, it was the pastel pretty Macarons on the packaging of the Too Faced Sugar Pop Palette that ignited my lust for it, and I was in fact a little nervous about all the colourful shadows that lurked within. 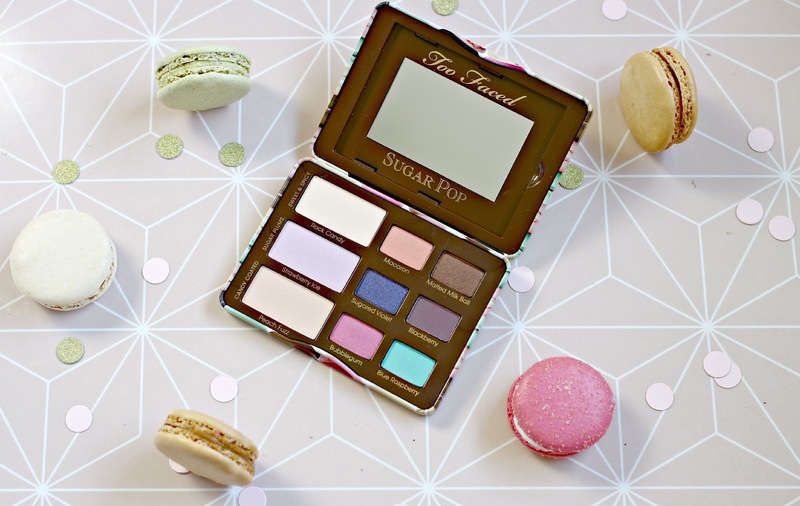 We all know that nudes and mattes are always going to be the safe option, and yep, I’m guilty of reaching for my Too Faced Natural Eyes palette (which I used in my Everyday Makeup Routine here) on an all-too-regular basis. Truth is, I haven’t really played around with colour on my eyes since the 90s (WOW I feel old.) but after writing this post about why we should all inject some more colour into our daily routines and wardrobes, I began to wonder about adding it into my makeup routine too. The palette, like the other Too Faced palettes that I’ve tried is very compact, in secure metal casing so perfect for travelling or keeping in your handbag. You get 9 shades, 3 big, 6 small, and they are separated out into ‘looks’ so that you get an idea of which colours to use together. As I predicted from Too Faced, the shadows are all absolutely powder perfection. Incredibly blendable, pigmented and long lasting, what more could you want?! My favourite combination is Macaron and Blackberry, with a pop of Malted Milk Ball in the centre of my lid, and again I vary the intensity depending on the look I am trying to achieve. So what do you think? Will you dare play with a bit of colour, or will you be sticking to nudes?